There is a little over a week remaining for the 46th Fiji Institute Accountants Congress. The Congress of Accountants is jointly sponsored by Vodafone Fiji and Westpac Banking Corporation that will be held on the May 18 to 19. It is pleased to announce its final speaker, Marty Wilson. Mr Wilson is a former pharmacist who be­came an award-winning advertising copy­writer then a full-time stand-up comedian for 8 years before becoming a best-selling author and in-demand speaker. “Every year we have a variety of speakers in the Congress. These are experts in the field, who we be­lieve have inspirational stories to share and a unique style of presentation of which Mr Marty offers. Other than his own presentation during the day he has also been included in our evening program,” said Finau Nagera FIA President. Mr Wilson is a TED Speaker on using hu­mour to build resilience. 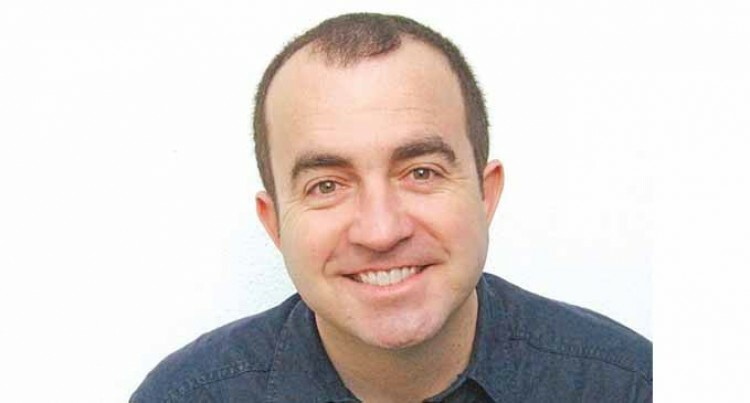 He is a former Australian comic of the year and was a full-time stand up comic for eight years in the UK but is also a registered phar­macist so he balances proven scientific data with laugh out loud stories. This makes his programmes incredibly hu­man and instantly relatable to a wide variety of audiences. His journey on stage began in 1997 and since then he has spoken to more than 250,000 peo­ple. Through public votes Mr Marty won the ‘Green Faces’ Award, Australia’s premiere comedy competition within 12 months of do­ing stand-up. He has appeared on “The Footy Show” and was also invited to the UK to be a full-time stand-up comedian. He is now the bestselling author of 18 books and a hilarious yet serious keynote speaker. One of his books ‘What I Wish I Knew About Success – 1000 Inspirational Interviews in one hilarious hour’ covers interviews of over 1,000 inspirational people of all ages and from all backgrounds. In the book, Mr Marty asked them to reveal the secrets of their success. He shares this advice in the most hilarious way to inspire, motivate and also have the audience laugh out loud. Mr Marty’s life experience plus his inter­views with over 1,000 inspirational people for his book series has given him a unique capacity to notice some profound truths bur­ied in even the humblest life story and just as importantly, the skills to pass that wisdom on with integrity, empathy and gut-busting humour. “We are very excited to have Mr Marty as a speaker,” said Rajeshwar Singh FIA Con­gress organising committee Chair. Mr Marty also writes for Reader’s Digest, the Sydney Morning Herald and a dozen mag­azines and regularly appears on Sunrisean Australian breakfast televisionprogramme broadcasted on the Seven Network. Every time Mr Marty teaches – in his books, mentoring and hilarious keynotes – he uses laughter to short circuit peoples’ resistance and sneak powerful ideas about change, col­laboration and employee engagement in be­tween the laughs.